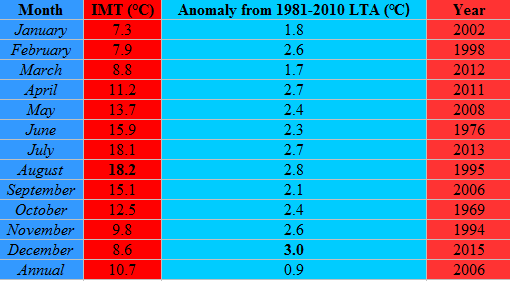 New 1981-2010 monthly temperature means with Northern Ireland stations included this time. I will be posting a surprise soon here . Months with below average mean temperatures in Ireland (2014-2017), using the new means above. Actual mean temperature in brackets. All data sourced from Met Éireann for Republic of Ireland stations and Met Office for Northern Ireland stations. Like I said, I included all Ireland stations that are available on Met Éireann's and Met Office's site. I did not exclude any stations and will not do so unless mentioned. I've been secretly working on a 2010 synopsis 'cause I know how much you all loved the 2004 synopsis. I thought why not do a synopsis on one of the most interesting years. The interesting year being 2010. If you would like me to do a particular year's synopsis on the weather of Ireland, then please VM me (visitor message), do not PM me please. I've wrote many, many, many posts stating that 2010 is my favourite year and many of my favourite months were 2010 months but I never described why. In this synopsis, I am going to be describing why and of course, a good bunch of statistics along the way 'cause that's what this thread is primarily about after all. Anyway, with all that being said, here we go onto the 2010 synopsis part one 'cause it's going to be one hell of a ride. After how wet Summer 2009 and November 2009 were along with how cold the second half of December 2009 was, I thought the period of extreme weather came to an end but 2010 proved me 100% wrong 'cause January was the coldest since 1987 across the island of Ireland with an IMT (Irish mean temperature, measured by adding up all Irish weather stations' mean temperatures divided by the number of stations) of 2.0c which is an anomaly of -3.5c below the average. Up to that point, Ireland had not seen such a large negative temperature anomaly from average for a Winter month since February 1986. 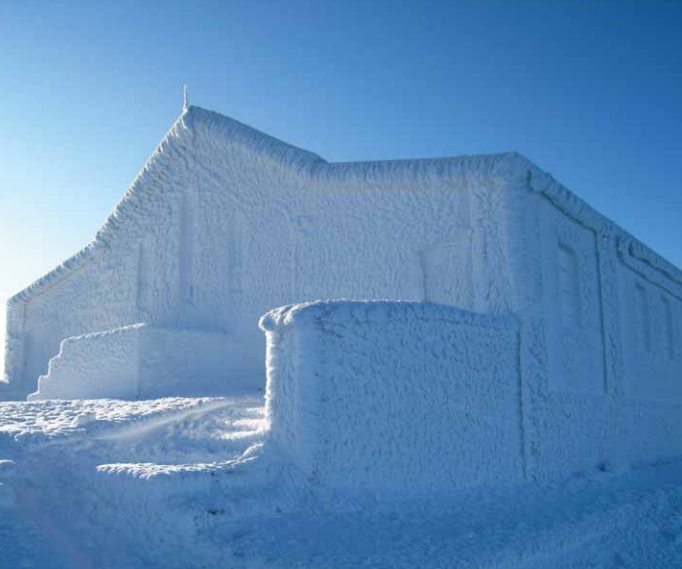 The first ten days of January 2010 continued the cold spell that began on the 16 December 2009. This was the most extreme cold spell over Ireland since early 1963 up to this point. During these first ten days of January, mean temperatures for Ireland were like 6-8c below average so you can see how extreme the cold was. Mullingar recorded the lowest mean temperature of only 1.4c which is -2.6c below the 1961-90 average for the station. This value is -3.2c below the 1981-2010 average for the station. Valentia Observatory recorded the highest mean temperature of only 4.7c which is -2.1c below the 1961-90 average for the station. This value is -2.6c below the 1981-2010 average for the station. Casement Aerodrome recorded a minimum temperature of -12.4c on the 8th in which it equaled its all-time record low for January on the 1st in 1979. Warrenstown, Co. Meath recorded a grass minimum temperature of -14.4c on the 9th which was the lowest such value for the station since January 1982. Meanwhile, in Northern Ireland, -12.7c was recorded at Castlederg, Co. Tyrone on the 9th, Northern Ireland's lowest minimum temperature since March 2001 and for January since 1987. The night 7th/8th January was the coldest night in most places and here is the ice and snow extent in the UK & Ireland. Dublin Airport had a maximum temperature of -3.1c on the 7th which was the lowest daytime temperature Ireland had seen since January 1987. There were other very low daytime temperatures during January such as -2.2c at Phoenix Park on the very next day, the 8th. New Years Day had a few snow showers across the country, much the same with the 2nd. The 3rd and 4th were very sunny but freezing cold days so therefore, the snow that fell at the end of December 2009, New Years Day and January 2nd stuck to the ground with ice being a major problem. On the 5th, a band of snow pushed southwards from the North. This mainly affected England & Wales but even Ireland itself got a good bunch of snow from this front. 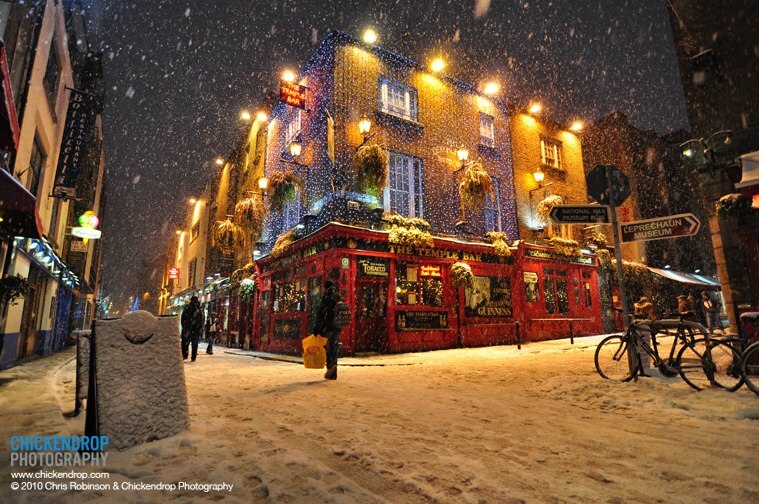 It snowed somewhere in Ireland every day from the 1st-14th with snow depth at Knock Airport reaching 20cm by the 13th. This low pressure around the 5th got stuck across the UK and Ireland for a couple of days including the 6th, 7th, 8th and 9th bringing further wintry showers to many places though mostly affecting eastern England with any major snowfalls. The 11th brought an area of rain across the country pushing into the UK giving off to a dry and rather sunny day though it was cloudy in the east. It was again pretty cold. On the 12th, a very intense band of rain pushed into the south of Ireland giving away to some spot flooding in many parts. Across northern and eastern parts, blizzards took place but as the band of rain pushed northwards, the blizzards turned to heavy rain and in turn led to severe spot flooding in those places also. Valentia Observatory recorded a daily rainfall of 58.5mm on this day, the 12th which was the station's wettest January day on record. Temperatures remained below normal for much of January 2010 but there was a thaw mid-month with rather above average values. From the 23rd-25th, another cold spell took place and again from the 29th-31st. As a result, there was a total of 22-27 ground frosts during January 2010 which was well above average of 14-18 ground frosts. Dublin Airport recorded a maximum of 10c or more on only one day during January, the 15th which was its lowest number of days for January with such a maximum since 1963 which recorded none. The maximum temperature for January was only 12.6c at Delphi Lodge, Co. Mayo on the same day, the 15th. Here is ice and snow covering the top of Croagh Patrick, Co. Mayo on New Years Day 2010. Despite the wet weather during the middle of January and especially on the 12th, most places had their driest January since 2006. Shannon Airport had a total of only 30.8mm which was 31% of its January LTA (using the 1961-1990 average) so probably like 28 or 29% of its January LTA now. This was easily Shannon Airport's second driest January on record with only 1963 drier, even drier than the record breaking dry January of 1997. It was the calmest January since 1997 in terms of wind speeds. Like with every month except July in 2010, January was very sunny. January 2010 was a record breaking sunny month across Ireland and was easily the sunniest January on record. Cork Airport recorded a sunshine total of 118 hours which was 225% of its LTA, a new record for Ireland. Valentia Observatory recorded a total of 104 hours of sunshine which was 237% of its LTA and was easily the sunniest January on record here too. These sunshine totals would be what you'd expect in a normal March, not January. And to add to that, Cork Airport had on average 3.82 hours of sunshine per day during January 2010 which was also a new record for Ireland. You thought January 2015 was very sunny in Dublin with around 90 hours of sunshine, well January 2010 was even sunnier! Now onto February since I think I've done enough of January now. February 2010 was another very cold month continuing the long cold, blocked spell that began in mid December 2009. It was the coldest February across Ireland since 1986. But February did not start off that way. After the rather cold end to January, as soon as February began on the 1st, a thaw began to take place as winds turned to a southerly along with rain pushing up from the south for the 1st, 2nd, 3rd and 4th. Daily rainfalls got heavier each day with a fall of 27.2mm at John F Kennedy Park, Co. Wexford on the 4th, its wettest February day since 1990. After a band of rain pushed through again on the 5th, it began to quieten down with a ridge building in the Atlantic and the winds becoming more of an easterly. The second week of February was very sunny with wintry showers hitting eastern regions at times but pretty uneventful and cold all the while as the UK was getting the general snowfall. Rain pushed into the north on Valentine's Day which pushed southwards on the 15th bringing the winds more to a northerly or northeasterly direction. The third week of February then was quite similar to the second week of February but the showers were more widespread rather than just eastern regions. Some of the showers were heavy with Belmullet, Co. Mayo recording up to 15mm on the 16th. The showers became few and far inbetween by the 21st and 22nd when it became very cold. Dublin Airport recorded a maximum of only 0.4c on the 21st and some places did not reach higher than -1c on this day. On the night of the 21st into the 22nd and also the 22nd into the 23rd, Dublin Airport recorded -6.6c which was its lowest February minimum temperature since 1991, it was beaten in February 2015 though. Straide, Co. Mayo recorded Ireland's February minimum temperature of -8.1c on the 11th, its lowest such value for February since 1986. On the 23rd, rain pushed into the south which gradually turned into heavy snow as it pushed northwards. The rainfall was up to 20mm at Johnstown Castle and snowfall was up to 10cm in parts. The 25th was a rather blustery day with snow clearing the country from the 23rd and 24th leaving showers in the northwest but mostly dry conditions. However, the 26th became a little milder and persistent rain pushed into the north with showers further southward. Malin Head, Co. Donegal recorded 28.2mm on this day, its wettest February day since 1994. The month ended with dry and sunny conditions then as we escaped Storm Xynthia which affected England & Wales. February overall recorded between 24 and 27 ground frosts, so even more than January and places that recorded 27 ground frosts had only one day throughout February without a ground frost. Compare this with the average for February of 10 to 15 ground frosts. It was one of the calmest Februarys on record in terms of wind speeds and many inland stations did not record a single gale gust throughout February. While some parts of the east recorded February as a dull month, it certainly was not for Ireland as a whole or even just the south and west. Normally, you'd expect it to be the other way round with persistent easterlies during much of February, cloud came in off the Irish Sea which allowed the West to be sunnier than the east. Sherkin Island, Co. Cork recorded a total of 126 hours of sunshine during February 2010 which would be a new record for February sunshine in Ireland. This was the second consecutive record breaking sunny month in 2010. Winter 2009/10 ended on a very cold, dry and record-breakingly sunny note. It was the coldest Winter since 1962/63 everywhere meaning that there was no Winter between 1963/64 and 2008/09 (inclusive) that was colder than 2009/10. Between 70 and 80 ground frosts were recorded during the season at inland stations. Valentia Observatory recorded a total of 62 ground frosts which was nearly three times its average total of 22 ground frosts. With the exception of Shannon Airport which had its driest Winter since 1963/64, it wasn't an exceptional dry Winter by any means. A recent Winter, 2005/06 had been drier than 2009/10 everywhere except Shannon Airport. Gurteen recorded only 121.7mm during the Winter which was only 48% of its LTA. So you can see that even though Winter 2009/10 may seem exceptionally dry here, there has been plenty of Winters drier than it unfortunately such as 2005/06, 1991/92 and 1963/64. Cork Airport recorded a phenomenal sunshine total of 311 hours during Winter 2009/10. In a typical Winter, it should expect around 140-160 hours of sunshine, so it certainly was an amazing total and it was easily Ireland's sunniest Winter on record. However, the east would go on for Winter 2010/11 to be sunnier than it was in 2009/10 though still not reaching this phenomenal total. Even Valentia Observatory recorded its sunniest Winter on record in 2009/10 with 289 hours and its records go back to 1860, so you can clearly see how phenomenally sunny it was. In contrast to these record breaking sunshine totals, Casement Aerodrome recorded only 175 hours of sunshine which would be a very average total for Winter there. Mean wind speeds for Winter 2009/10 were between only 5 and 11 knots and it was easily the calmest Winter on record for most stations. Last edited by sryanbruen; 26-03-2017 at 16:23. Warmer than average throughout. It also has been the most humid opening 3 months of the year since 2014. which no doubt is due in part to the rapidly warming north Atlantic over the last couple of months. All data C/O Met Éireann. Months with below average mean temperatures in Ireland (2012-2017), using the new means here: http://www.boards.ie/vbulletin/showp...0&postcount=46. Actual mean temperature in brackets. Here is part two to my 2010 synopsis. In this part, we will focus on the Spring of 2010 which is honestly, my second favourite Spring weather wise with 2011 being my favourite. Spring 2010 was a Spring of all weathers with blizzards, severe frosts in March to 27c and 16 hours of sunshine in May. It was definitely a Spring that suited just about anybody's type of weather. None of the three months were the same except maybe for how sunny they were, continuing on from what has been a record breaking sunny start to 2010. The statistics may not show it as a particularly wet day in records standards, but I remember this day very well and trust me, it was a very wet day indeed. This rain would continue on into the 30th but gusty northwesterlies would then take place. The northwesterlies turned the rain in many places to blizzards. The blizzards affected all of Ulster and much of Leinster, some parts of Connacht also all day long. The south of Ireland though escaped and instead had some long sunny spells. It was a rather cold day everywhere especially with those blizzards, temperatures of only 2-4c during the day. However, in the Spring sunshine, where it was 8-9c, it would feel pleasantly mild. In the blizzards, Ballyhaise, Co. Cavan recorded a daily fall of 39.9mm on the 30th, just 0.1mm off 40mm. Helens Bay in Northern Ireland recorded 54.2mm on the 30th. After some further snow or blizzards falling in northern and eastern regions during the morning of the 31st, it cleared and brought a sunny, blustery day across the country with some wintry showers. March ended on near average rainfall for much of Ireland. Northern regions recorded a drier than normal March generally but the South had a rather wet March. Despite the unsettled second half though and how many places were wetter than average, it definitely wasn't a soggy March and especially not enough to end what was going to become a long term period of dry months across some places, not all but certainly some. Like for example, March 2008 just two years ago, was wetter at the majority of stations. I thought the anticyclonic period during early March was very memorable and you'll see why in just a moment when I talk about the sunshine . For the third month in a row, mean wind speeds were below normal continuing the trend of what 2010 was to become.... a.k.a. the calmest year on record in terms of wind speeds. For the fourth month in a row, temperatures were below normal and it was the coldest March since 1987. Using the 1961-90 average, it wasn't a particularly remarkably cold March by any means with temperatures anomalies of just like -0.7 to -0.2c below the average. However, using the 1981-2010 average, the anomalies were around -1.4 to -0.6c below the average. The IMT for March 2010 was 5.9c which is -1.2c below the average. Maximum temperatures weren't that far off average but minimum temperatures were some 2-3c below average. Cavan recorded a minimum of -7.6c on the 9th which was Ireland's lowest minimum temperature for March since 2006. Dublin Airport recorded -7.3c on the 8th which was its lowest for March since 1962. Galway recorded a grass minimum of -12.7c on the 8th, its lowest such value for March since records began there in 1996. There was around 20 ground frosts recorded during March which is twice the number of ground frosts you'd expect in a normal March. Ardfert, Co. Kerry recorded the maximum temperature for March of 16.3c on the 26th in spite of many stations recording their warmest day on the 17th or 21st. Oh boy now the sunshine. For the third month of 2010, sunshine totals were again well above average and especially so in the south and west. But even the east this time got their fair share of well above average sunshine totals. Sunshine totals were up to 175 hours at Ardfert which was its sunniest March on record. It may not have been a new record for Ireland in which March 2003 still stands as Ireland's sunniest March on record (in terms of average sunshine totals, not the actual largest sunshine total which belongs to a March sometime in the 20th century that I can't seem to find sorry ) but nevertheless, it was still a very remarkable March for sunshine. The lowest sunshine total was 122 hours at Cavan which is very high for a minimum sunshine total. With March out of the way, I think it's time to talk about April. The 1st was a typical day of sunshine and April showers. 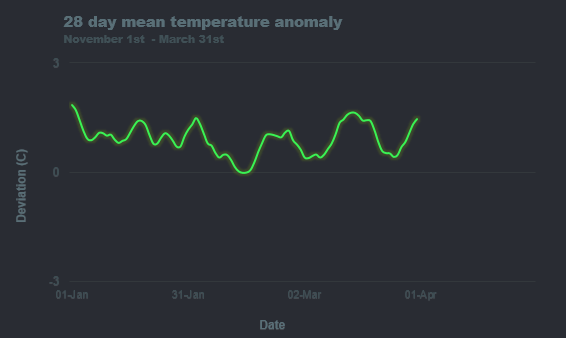 A bit warmer than previous days at the end of March but nothing spectacular. On Good Friday, April 2nd, a band of rain pushed up from the south bringing up to 14mm at Valentia Observatory. Mountaineous regions recorded snow with this. Behind the front was sunshine and showers but the North had to suffer with the rain all day. This cleared on the 3rd to blustery showers on a quite strong wind but again, many places recorded sunny spells in between the showers. Easter Sunday started off dry and sunny everywhere but rain pushed into the west during the late morning lingering there for the day whilst the east had further sunny spells. The rain pushed through on the 5th bringing some rain to all areas. The middle of the day brought a dry interlude before another persistent band of rain pushed into the west come the evening reaching all but the southeastern corner by dawn on the 6th. The winds were very gusty at the same time. Belmullet recorded a gust of 75 knots (139 km/hr) on the 5th, its windiest April day on record. This rain cleared all areas gradually by mid-afternoon on the 6th. This rain was very heavy and the 5th or 6th became some of the stations' wettest April days on record. One such was Cavan recording 40.7mm on the 5th, its wettest April day on record. A band of showers pushed through the afternoon on the 6th but then a ridge builded in from the evening onwards which would eventually become stationary over Ireland for much of April. With the exception of some drizzle in the north on the 18th, the period 7th-23rd April was completely dry with plenty of sunshine. Each day from the 10th-23rd had at least 10 hours of sunshine somewhere in Ireland. Daytime temperatures were above average throughout the period but nightime temperatures were below average towards the end of the period, particularly the 20th/21st. Rain pushed in on the 24th and cleared by the 25th leaving showers across the country. The showers went away on the 26th but on the 27th, a band of persistent rain pushed into the west which cleared on the 28th leaving plenty of showers across the country for the last few days of April 2010. Rainfall was quite similar to March for April in the sense that it was quite variable but more stations were dry in April than March. The rainfall distribution was very uneven anyway with the 5th/6th and 27th recording the general rainfall for many stations. Some other heavy rainfalls during this period included 26.6mm at Valentia Observatory on the 5th, with 9.3mm on the 4th and 8.9mm on the 6th. Valentia Observatory recorded 20.5mm on the 27th. Overall, it wasn't the most interesting April of rainfall. In spite of the record breaking windy event 5th/6th, April was again another very calm month in terms of wind speeds. April was the first warmer than normal month of 2010 and the first such month since November 2009. After a rather cool start to April continuing on from the cold weather that set in during the last few days of March, it became much warmer and maximum temperatures for April were well above average. Minimum temperatures were much closer to average, however, as a result of frosts, particularly the period 20th-22nd. The IMT for April was 8.9c which is +0.4c above the 1981-2010 average. Not an exceptional month at all in terms of temperatures overall. The maximum temperature was 21.0c at Ardfert, Co. Kerry on the 10th whilst most stations had their warmest day for April on the 11th, the very next day with values widely up to the high teens. Straide, Co. Mayo recorded the air minimum temperature of -4.4c on the 21st which was the lowest April air minimum temperature for Ireland since 2006. It also recorded the lowest grass minimum temperature for April of -11.5c on the same day, its lowest for April since 1996. Despite the warm weather overall, April's quantity of ground frosts was still above average with between 12 and 18 ground frosts during April compared to the average of 8 and 12 ground frosts. April was yet again another very sunny month continuing 2010's record breaking sunshine roller coaster. At the majority of stations, it was not as sunny as April 2007 but at Sherkin Island, it recorded 248 hours of sunshine during April, its sunniest April on record and was 140% of its LTA. Along with this, Sherkin Island had a whopping 8.26 hours of sunshine per day on average, a new record for Ireland. Shannon Airport also recorded its sunniest April on record with 231 hours, 156% of its LTA (which would be beaten 5 years later in April 2015). At this point in 2010, many places had recorded over 160% of their average sunshine for January-April. Dublin Airport had its sunniest April day since 1981 of 13.3 hours on the 16th. Now here we go onto May. May started off with a cool and showery regime continuing on from the last few days of April. The showers would become few and far between by the period 2nd-4th. During this period, it was cool, mostly dry with some sunny spells at times. Rain pushed southwards overnight into the 5th and after that, it was a generally dry and cloudy day. However, some rain lingered in the northeast. It was again cool though some places were milder than recent days. This rain in the northeast moved over the eastern half of the country and cleared by the morning of the 6th leaving a dry and rather sunny day. It was similar to the 5th in that it was milder than recent days yet still cool for May. Whilst some places did record scattered showers on the 7th, a very quiet interval set in from the 7th-10th with plenty of sunshine but temperatures still below average for May in the low teens. Heavy showers turning into longer outbreaks of rain pushed into the north on the 11th spreading to most places by the afternoon but the south escaped and enjoyed a similar day to previous days with long spells of sunshine but cool everywhere again. The 12th had some showers across the country with long sunny spells too but again cool for May. The 13th was a generally overcast and cool day with patchy rain in many places whilst the north and some parts of the east escaped with the odd spell of sunshine. Showers pushed across the country on the 14th but very sunny everywhere and milder than previous days. After a dry, sunny start everywhere on the 15th, rain pushed into the west crossing the country by late evening. It was a bit milder again getting into the mid-teens - a sign of what's to come. Whilst Ulster had the odd shower, the 16th was a fine sunny day. The 17th was rather cloudy with the exception of the east. Some western regions recorded light rain and temperatures reached 17c in some places. Ireland had not seen such temperatures since the middle of April so you can see how cool May had been up to that point. That is all about to change massively however! Heavy rain pushed across the country on the 18th and ahead of the rain, the winds turned to a southerly direction bringing up warmer air. Temperatures were up to 19c on the 18th. Valentia Observatory recorded 20.4mm of rainfall on this day, its wettest day in May since 2008. A ridge of high pressure over Scandinavia and much of Europe made the front linger over Ireland into the 19th but by then, it just became a band of cloud. As a result, the 19th was an overcast day almost everywhere but very muggy at the same time with temperatures peaking at 21c in parts. Though it remained cloudy in the west, the 20th was a brighter day with temperatures reaching 24c this time and yes, they didn't reach their peak for May 2010 yet. The 21st was a similar day to the 20th in that with the exception of a cloudy west, it was mostly sunny and warm. Temperatures went back a touch to 23c. However, high pressure from Scandinavia well and truly built over Ireland by the 22nd with plenty of sunshine then of 11-15 hours in all places. Temperatures reached 25c on this day but the 23rd was even better! On the 23rd, Shannon Airport recorded 15.6 hours of sunshine which made it Ireland's sunniest day in May on record. Along with the abundant sunshine, Ardfert recorded 26.8c, the highest temperature for May in Ireland since 1997 and one of the warmest days on record for May. Helens Bay in Northern Ireland recorded 26.0c on this day, Northern Ireland's warmest day in May since 1989. It could never be more perfect than the 23rd May 2010 if you ask me, that was a very memorable day I will never forget. From then on, temperatures started to go back to average or slightly above however. The 24th was another very sunny day in places but a cold front which was a band of cloud by the time it hit the north coast, pushed southwards and introduced cooler air. Temperatures were still up to 22c on the 24th so still very pleasant. Temperatures were up to 19c on the 25th though that doesn't mean it was bad. It was far from bad with everywhere recording between 13-15 hours of sunshine during the day. Temperatures went back again on the 26th to 17c but sunshine was still very abundant between 9-12 hours of sunshine. Showers pushed into the north on the 27th becoming more widespread during the afternoon though some places escaped and enjoyed yet again, another very sunny day of up to 11 hours of sunshine. Showers in the west on the 28th with most places dry and pleasantly sunny. Heavy persistent rain pushed in on the 29th clearing by noon leaving overcast and mild conditions behind with the exception of some sunshine in the west. Johnstown Castle, Co. Wexford recorded 26.9mm of rainfall on this day, its wettest day in May since 2002. Whilst the south had some rain on the 30th, most places enjoyed a fine day with sunny spells. Rain pushed across the country on the 31st after a generally dry morning and it was quite persistent in many places. Temperatures went back up to 19c, just in time for June ! May was a rather dry month in most places and was the driest May in Ireland since 1991. However, some places were unlucky especially in the east where the showers in the first half and the rainfall on the 29th gave them a wetter than normal May. Unusually, Johnstown Castle recorded the highest rainfall total of 82.9mm (130% of its 1961-90 average) whilst Maam Valley (normally the wettest place for monthly rainfall totals) recorded 66.6mm (49% of its average). Overall, May was pretty forgettable rainfall wise to be honest. May was a rather warm month overall across Ireland with an IMT of 11.6c (+0.3c above the 1981-2010 average). Differences from average were up to +1.4c at Ardfert but Dublin Airport's mean was -0.6c below its average for May so temperature contrasts were quite high during May 2010. In all places, the first half of May was very cool and easily the coolest start to May since 1996. The second half of the month was significantly warmer, however and brought up the mean temperatures in all places with most above average and others just slightly below average. There was a total of 10 and 15 ground frosts during May which for the sixth month in a row was well above average compared to the normal 5 and 7 ground frost range for May. During the quiet interval in May from the 7th-10th, Ireland had their lowest May temperatures since 1996. Casement Aerodrome recorded an air minimum temperature of -2.0c on the 11th and Straide recorded a grass minimum of -7.0c on the 8th. May continued 2010's record breaking sunshine streak. Whilst yes, it wasn't a particularly remarkable May sunshine wise in comparison with the sunniest Mays on record, it still was a very sunny May with more than 120% of the average sunshine in parts. Both halves of May were evenly sunny with both recording some very pleasant sunny days. However, the second half recorded the sunniest days for May of the 22nd, 23rd and 25th which I mentioned above in the May daily summary. Spring overall was a record breaking sunny one with dry and rather mild conditions. It was the sunniest Spring on record across Ireland with Shannon Airport and Valentia Observatory also having their sunniest Spring on record. Spring 2010 was the second consecutive sunniest respective season on record across many places. It was the coldest Spring since 2001 despite being milder than normal in comparison with many, many recent warm Springs. It was the driest Spring since 2007. Did June continue or end this run of very sunny months that goes back to December 2009? See soon in my part three of my 2010 weather synopsis. All data in this post is sourced from Met Ã‰ireann for the Republic of Ireland and Met Office for Northern Ireland. Here is the Irish Mean Temperatures (IMT) for January 2010-March 2017 in comparison with their 1981-2010 IMT average. Do you prefer having the IMTs in graph/image format like this OR post format like I have been doing? If it is to be a choice between the two I would pick graph form. It's easier read at just a glance. Indeed, some incredible research and work by Syran. I think I recall that he mentioned recently that he is only 14 or 15 years of age? Some serious talent going on here. 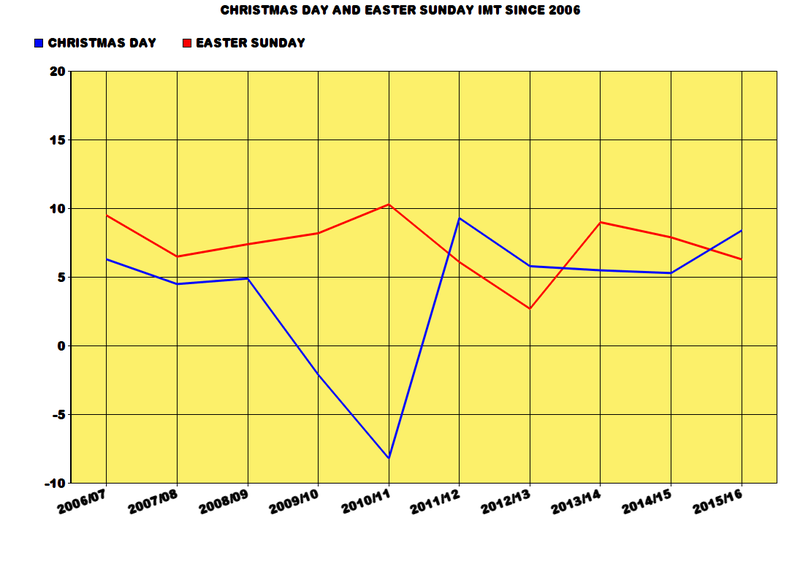 I've gathered the information on this graph I made to show the IMTs for Christmas Day and Easters of those years / periods. This was made due to interest of Easter Sunday 2017 being potentially colder than Christmas Day 2016 in the potential cold weather thread. This goes to show you that Easter being colder than Christmas is not uncommon, in recent years particularly! Remember that stations change from year to year so any data I share here in regards to Ireland as a whole can be controversial but I try to keep my data as accurate as possible and double check always. 2010/11 had a record breaking Christmas Day/Easter Sunday IMT range with a difference of 18.5c!! The average Christmas Day IMT should be 5.4c. The average Easter Sunday IMT should be 7.9c - though this is quite controversial and inaccurate figure as Easter Sunday changes data each year. Like Easter Sunday could fall in March when the IMT should be around 7.0c or something like that or could be like April 2011 where it was on the 24th April and the IMT by then should be around 8.8c. As you can see, the Easter Sunday IMT is very questionable. Last edited by sryanbruen; 14-04-2017 at 12:17. Here is the Irish Mean Temperatures (IMT) for January 2003-December 2009 in comparison with their 1981-2010 IMT average. NOTE: Every month's IMT before April 2008 considers Clones, Kilkenny and Rosslare's mean temperatures. These stations closed in April 2008 so therefore, there is no data for them for April 2008 onwards. Just wanted to point this out. These are the warmest months on record in Ireland in regards to the IMT. Most recent IMT record is December 2015 whilst the longest IMT record that still currently stands is October 1969. 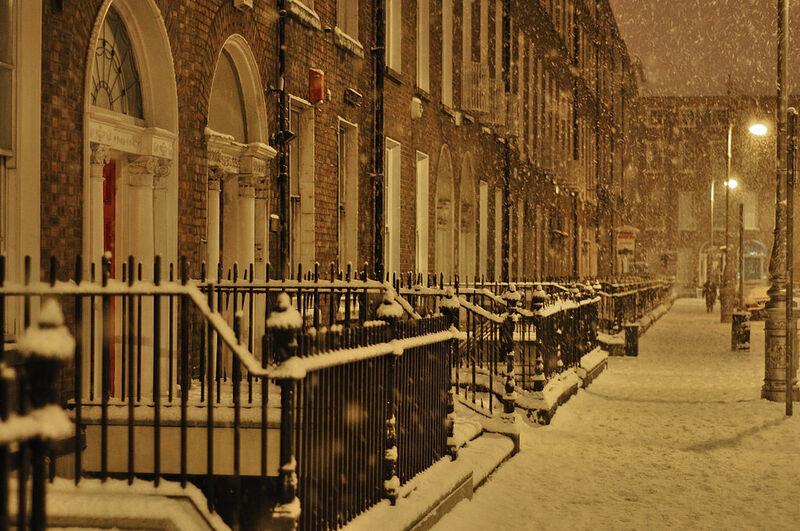 The coldest months on record in Ireland will take longer as many of the months will be back in the 20th century and it is challenging to find data for stations during the 20th century. Last edited by sryanbruen; 17-04-2017 at 14:18. Easter Sunday 2017 was indeed colder, or cooler I should say than Christmas Day 2016 but only by a 0.2c temperature difference so nothing exciting. All information for the Republic of Ireland gathered from Met Éireann and information for Northern Ireland from the Met Office. The last time January was warmer than May: NEVER. It may be possible with individual stations but not with the IMT. Last edited by sryanbruen; 22-04-2017 at 18:55.